According to Bizrate Insights, a survey conducted among consumers of 5000 eCommerce retailers via an online survey presented immediately after completing a purchase, Gift Cards are seen to be preferred by Millennials, with over 70 percent of 18-34 years, hoping to receive Gift Cards. 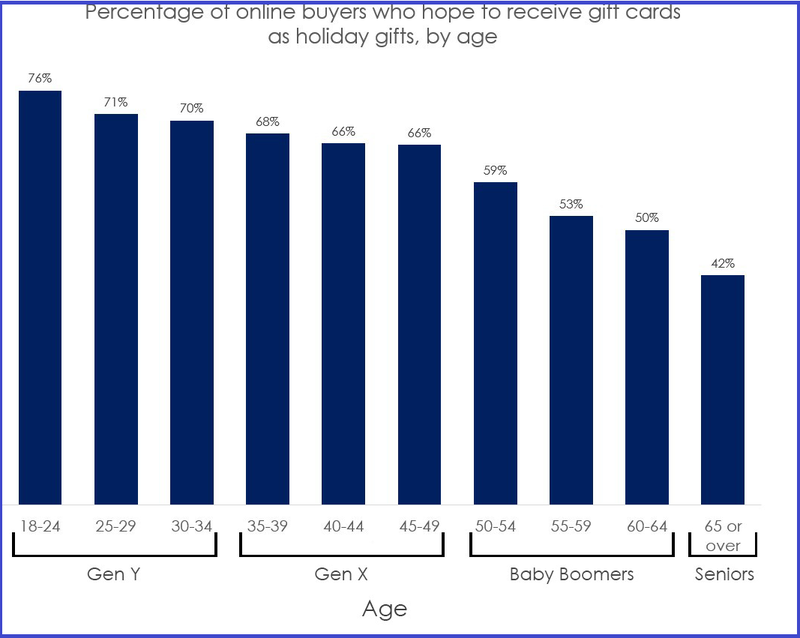 However, there is a gap among consumers hoping to receive a Gift Card and those who plan to buy a Gift card. The survey was, conducted among 11,067 online buyers, ages 18 and over, in the U.S. and Canada and carried out between November 1, 2015 and November 8, 2015. 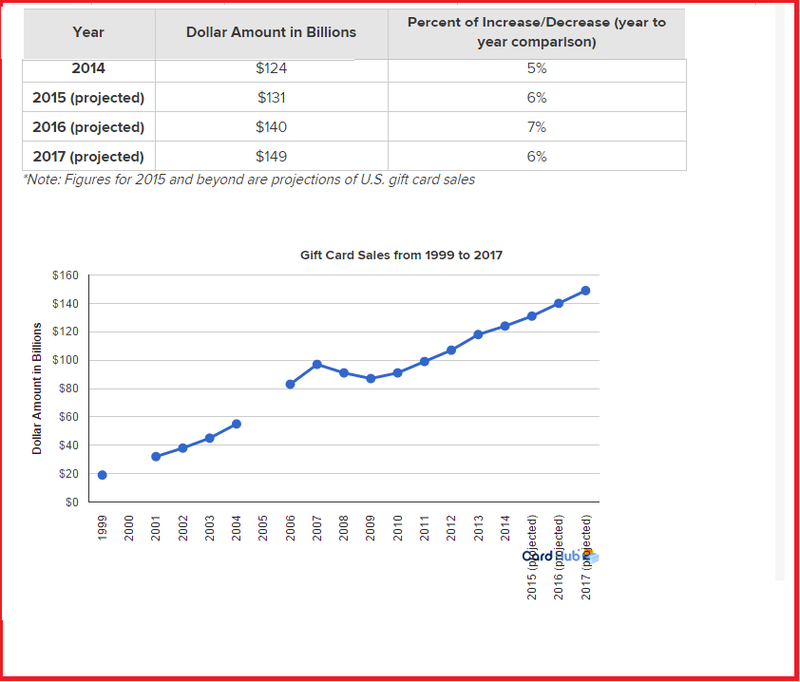 According to Card Hub, the size of Gift Card market is projected to grow over the next two years. In a research shared by CEB TowerGroup, Gift cards represent 18 percent of the money spent by consumers on Holiday purchases and eGifting is likely to trend upwards. 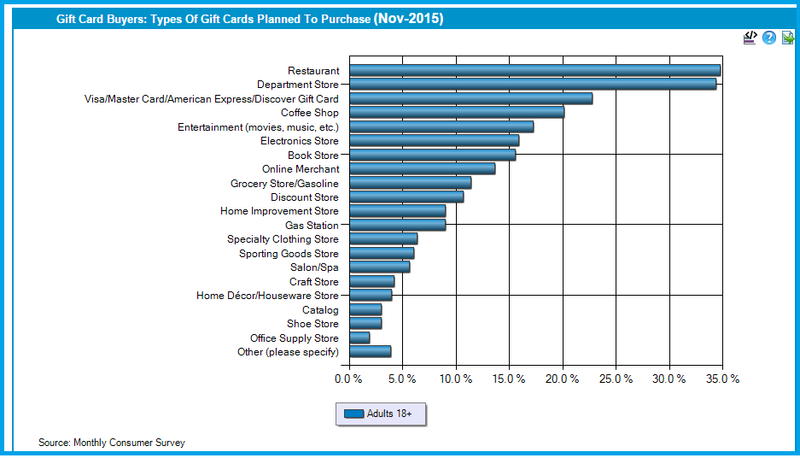 The preferred Gift Cards categories that buyers plan to purchase for Holiday season are Restaurants, Department Store, Coffee Shops, Entertainment and Electronics Store. Retailers targeting Holiday Shoppers have designed offers on Gift cards that are focused on customers interests and build on the experiential gifting. 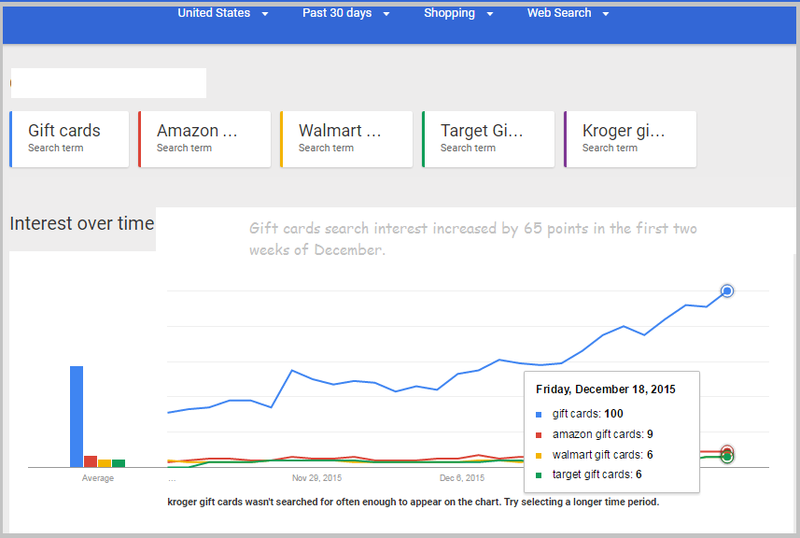 The search queries for Gift cards increase in the first two weeks of December and the top search queries for 2015 thus far are restaurant gift cards, best gift cards. Walmart’s robust offering of Gift Cards targeted at Movies and Music fans as wells restaurant gift cards, provide a wide choice to buyers who want to buy Gift Cards that are likely to be preferred by the target audience. The choice of retail gift cards provide an offering for consumers that are looking at choosing gifts based on interests. The gift cards value proposition offers a complete suite of gift options for different categories from Apparel, Dining to Entertainment. Combining the products with an e-gift delivery option makes for a comprehensive Gift Card experience from product design to delivery stage. Gift card experience from Walmart is designed around the consumer, with Branding and Design and the User Interface enhanced for Discovery. Design your Gift card strategy around your core target audience buyer persona, offering different options, with branding and content experience enhanced for mobile discovery. Create a special icon to flag products that have an email delivery option or a special price offer, as can be seen for Walmart’s eCard. Amazon has designed special offers targeted at buyers of speciality cards, with a 20 percent off for buyers of gift cards, with special packs designed for up-selling. Target has also focused on creating special price offers for gift cards and running special offers to promote gift cards. 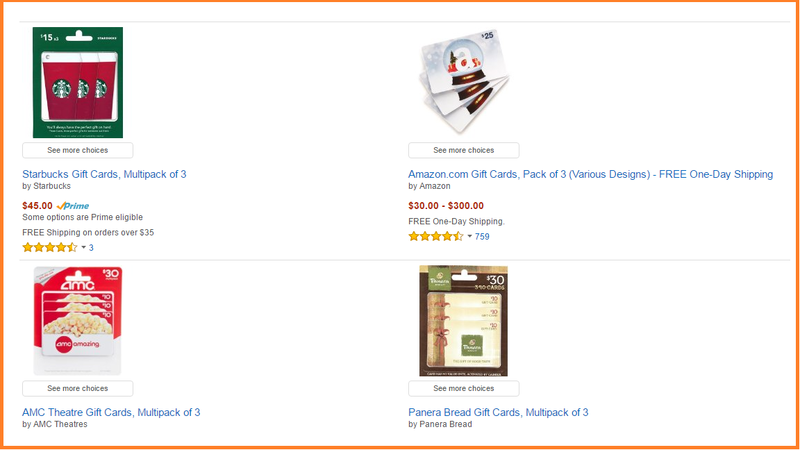 Amazon’s gift cards strategy focuses on creating a value proposition based on pricing and the choice of shopping all gift cards at one place. The choice that is available promises at reducing stress usually associated with finding the right gift. Design your Gift card strategy around the different Gifting needs of the consumer. Usually customers looking for deals and offers around holiday season tend to buy into value offers that can be redeemed after the Christmas sales. Giving a choice of retail brands adds choice for consumers with the possibility to find the right gift for different recepients. 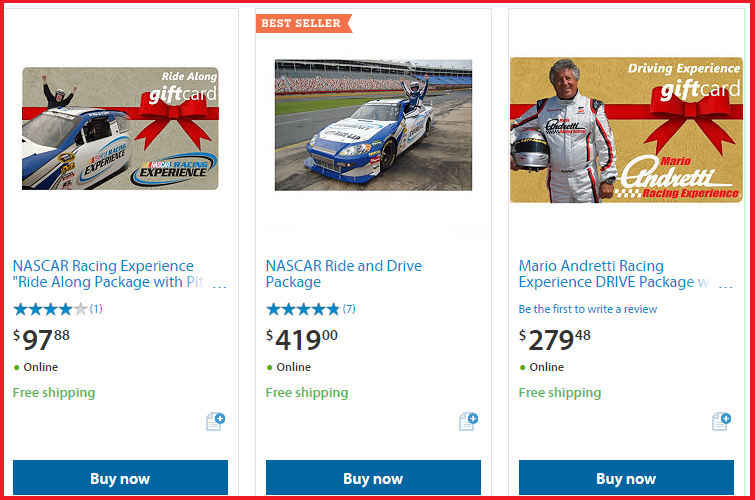 Sam’s Club has created experiences for Motor Sports Enthusiasts, that features racing Experiences and different Drive packages. 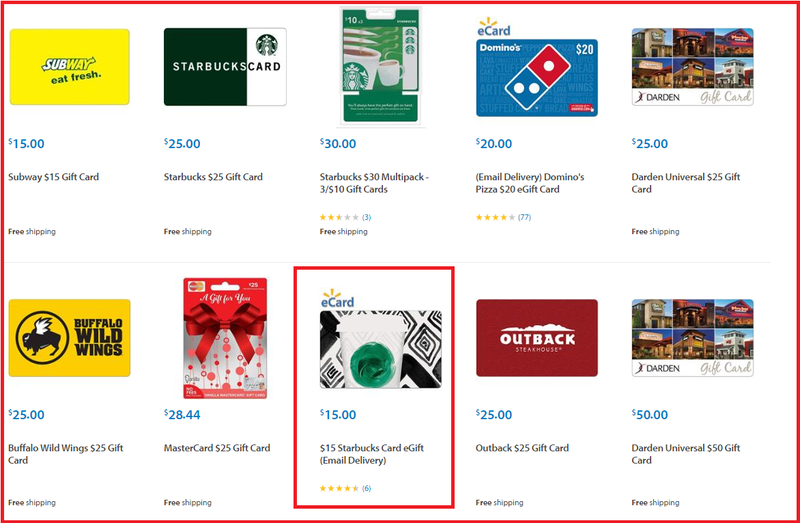 Sam’s Club includes Gift Cards rating that lets customers choose and decide from popular cards that are featured in “Popular Products” section. Designing experiential rewards gift cards engages audiences for your brand with one of a kind offers that are not likely to be available off the shelf. Offering Experiential rewards Gift Cards are likely to create greater buzz and social media sharing for Gift Cards. 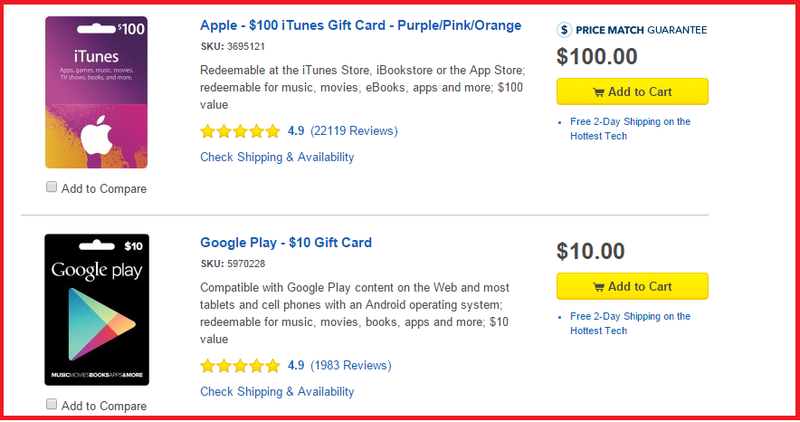 Best Buy offers consumers to choose from the options available with a Price match guarantee. Offering Price Match Guarantee on Gift Cards is likely to resonate with audiences as it takes the stress away for Gift Card Shoppers. 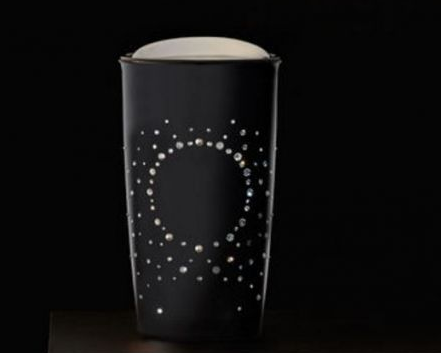 Starbucks Limited Edition holiday cards, embellished with Swarovski crystals in Silver and Blue are aimed at engaging audiences with a Lifestyle aspiration, where the card design is the reward itself. The Gift cards are an extension of other merchandise available at Starbucks with Crystal and Gold embellishments. Starbucks continues to promote Holiday cards with Gift Cards Messaging. Designing Limited Edition Gift Cards are a way to engage audiences for key occasions that reward your loyal customers. 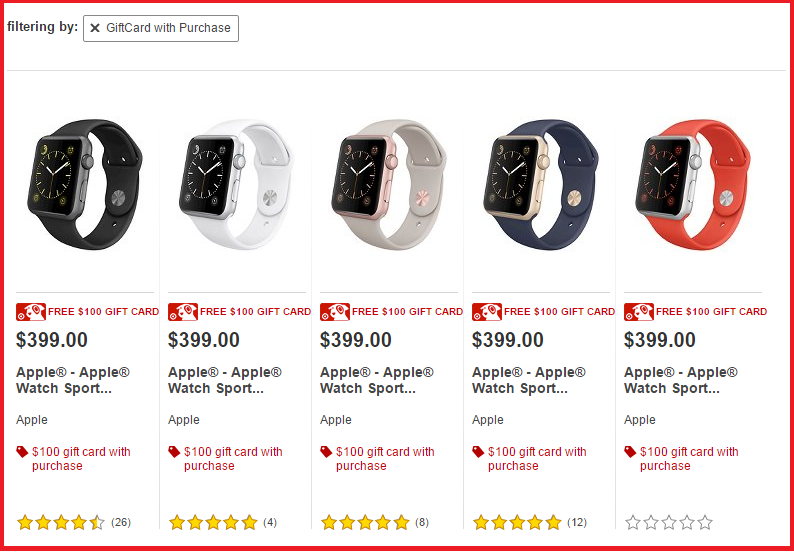 Offering a Gift card linked to a purchase as can be seen from Target’s USD 100 Card linked to an Apple Watch purchase. Linking a free gift card offer with a purchase can help retailers boost sales with a special pricing offer linked to Gift Cards. Allowing time bound offers on Gift cards can further help retailers divert spend in lean sales months. 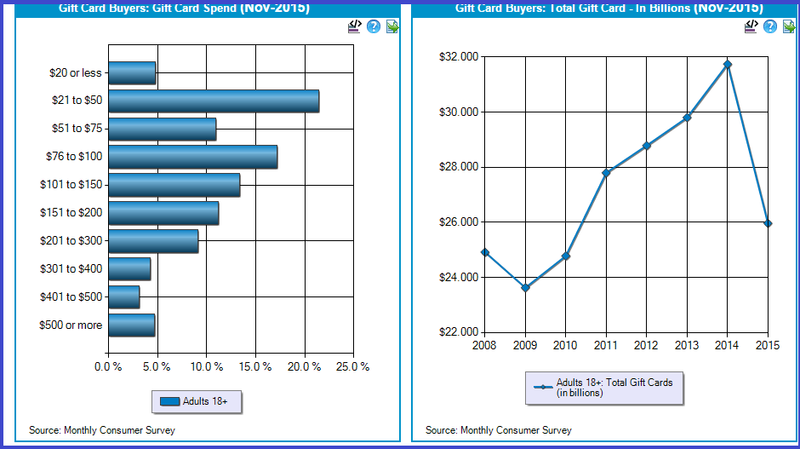 Gift Cards can increase sales when used as an incentive and increase sales during low season months. Posted in Advertising, Digital, Retail, Search, Shopper Marketing, User Experience Design. Tagged Amazon, Best Buy, Digital, Google play, iTunes, Macy's, Retail, Social Media, Target, Walmart.